Chris said: "There were some pitches that had some standing water, but it had got to a point where we needed to do something regarding drainage for all of the pitches and the land to put money back into it and improve our facilities and we thought to get better use in the winter periods that the ShockWave was the way to go. "There has been a difference in some of the pitches we've used it on. There was one area that would always hold water but that's gone now. It's still a bit softer underfoot than the rest of the field but you're not squelching water like you would have been. "Once we go on that area again, we'll be able to go deeper and get down to 18 inches and that'll definitely help." He said: "People can use the pitches on the same day we've used the machine and that's a massive benefit because we don't have to shut a pitch down for a week. 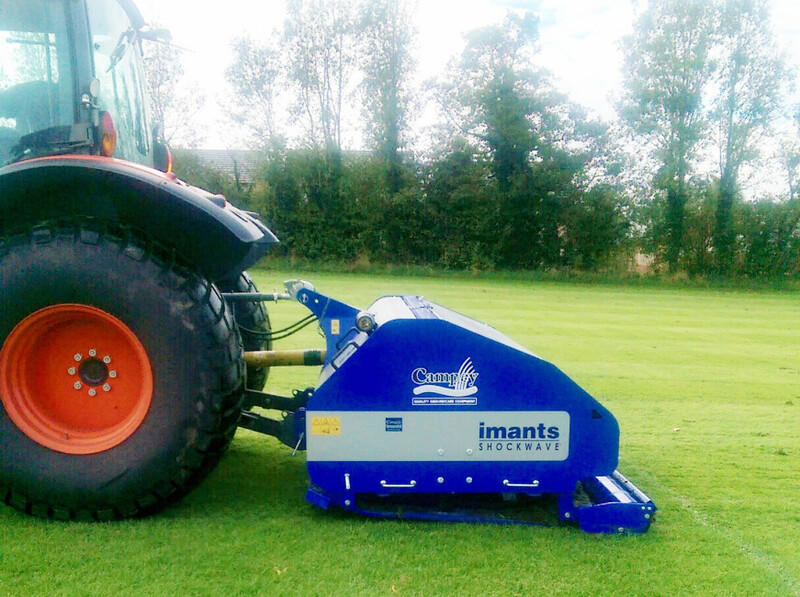 It allows us to make a solid plan with the machine and work on the pitches when we want to and if an area needs to be worked on close to a fixture then we know that's fine."